“Amen & Goodbye,” the fourth album by experimental rock group Yeasayer, was released on April 1, and is an intriguing piece of art for fans of experimental rock. The album starts off with a somewhat eerie vibe with “Daughters of Cain.” A constant synthetic note plays in the background as the opening lyrics “are we the sons of sin and daughters of Cain” immerse the listener into an uncomfortable feeling. The second song, “I Am Chemistry,” is a peculiar rock song. An official music video was released alongside the audio, and is a piece of art that is hard to decipher. The third song, “Silly Me,” definitely lives up to the experimental aspects of rock, incorporating almost EDM and synthetic components into this regret song. “Half Asleep” comes next, and doesn’t really do much to stand out. It’s nice to listen to for its melodic components, but it doesn’t really go anywhere. The sixth song “Prophecy Gun” is another “I Am Chemistry,” a convoluted sound complemented by a bizarre music video. “Computer Canticle 1” is under half a minute, an instrumental piece that leaves the listener unsettled. “Child Prodigy” follows, and seems almost Renaissance-inspired. People clap through the entirety of this one-minute instrumental piece. “Gerson’s Whistle” is another song that doesn’t really do anything to stand out. The final track, the album’s namesake, is an instrumental piece barely under a minute, and emulates the avant-garde theme often expressed in the melodic components of the genre. 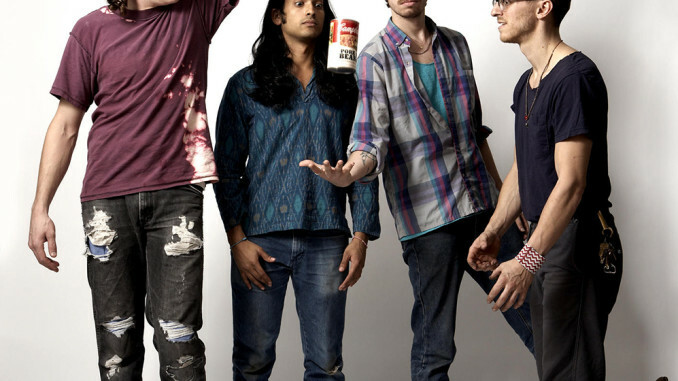 Overall, Yeasayer lives up to its expectations in the experimental genre, utilizing uncommon and nontraditional aspects of rock while incorporating concepts from other musical genres. Though often unsettling, it is definitely worth a listen for fans of the bizarre.